Yesterday I had the occasion to be blown away and humbled by Smanga and his story well though I know it. 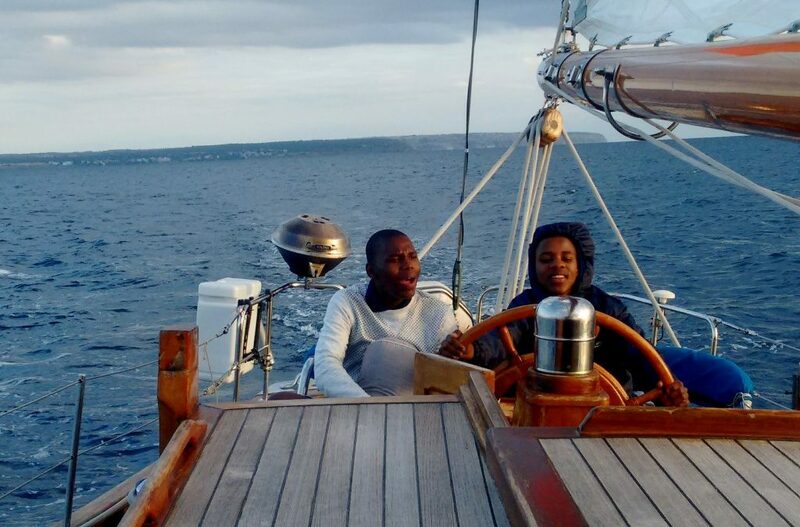 I must thank again each and everyone of you, and where relevant the organisations that you represent for your incredible contribution to transforming this young man’s life whilst without realising it enabling Sail Africa to continue with the work we do. I was called at very short notice to give a presentation to the KZN Department of Sport and Recreation. When Smanga first came to us 5 years ago they were our main sponsor accounting for half our annual budget. Today their funding has been cut in half and our budget has more than doubled, so they are less involved. Having said that they still fund the schools sailing program which is the springboard for every thing else we do. 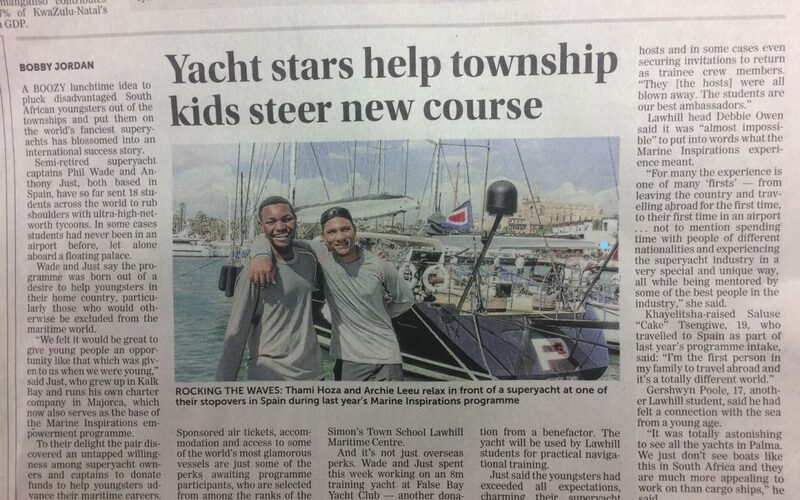 Smanga started in this program and has gone on to experience every thing else we offer from the Marine Inspirations program which he went on some years back thanks to Phil and Anthony’s generosity, getting a bursary thanks to Steve and Jessica’s generosity and experiencing the GBOBA program thanks to Nomkitha and Keith and others. 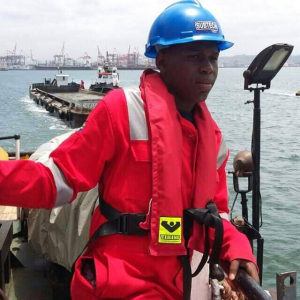 He is, as you know, at DUT doing his maritime studies and he is also fully involved in the DUT sailing program which is now a large part of our work. To see where he is today and know where he comes from is so so humbling. I needed to share with you and give credit for your part. . 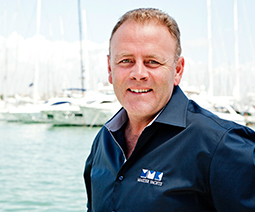 They have asked him to speak to the KZN cabinet to show them the influence of sailing in changing lives and its impact on Operation Phakisa. He has to prepare a CV by next Friday and I must select two girls to accompany him. I will let you know how it goes although I am not invited! I am sure he will continue to be a credit. General Botha Old Boys and Marine Inspirations recently held a function where the L 26, formerly known as Bandito, was handed over to the Lawhill Maritime Centre. 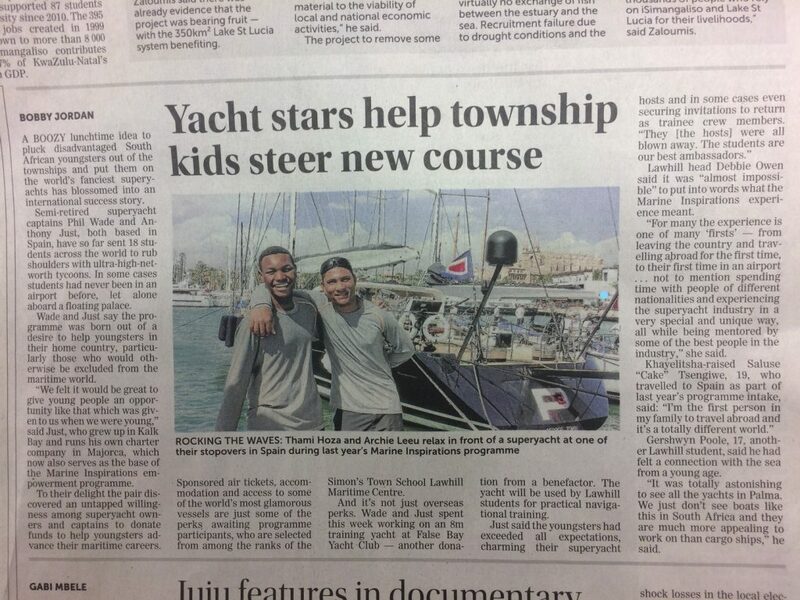 This extremely generous donation will facilitate the campaign to teach these young students the art of sailing as they forge their career paths in the Maritime industry. 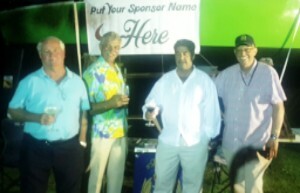 We Salute Phil Wade, Keith Burchell, Dave Abromowitz and all involved for making this possible. 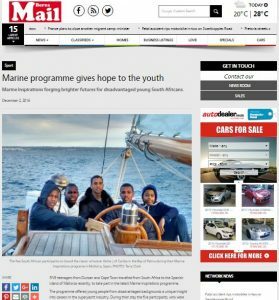 RCYC has committed to fund 2 students to attend the Lawhill programme from 2017 and General Botha Old Boys have agreed to assist these students in their Mentorship programme. We look forward in meeting the two candidates and wish them well in their education journey. We will certainly share their progress and achievements.